He says judges involved in Euro-Maydan arrests should be dismissed. President Petro Poroshenko has called on parliament speaker Andriy Parubiy to convene an extraordinary session by 30 September. "I have called on the chairman of the Ukrainian parliament to convene by 30 Septemner an extraordinary parliamentary session to dismissed all judges, for whom you have relevant motions from the Supreme Council of Justice, including those involved in the unlawful arrests of Maydan activists, over the breach of oath. It is unacceptable for these judges to further serve justice in the name of Ukraine," the president said on Facebook. 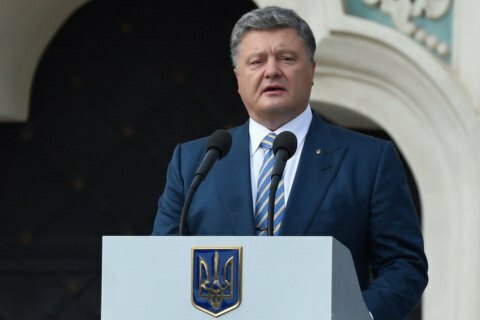 Ukrainian president: "We failed to pass exam with Budapest Memorandum"